If you are building a budget to mid-range gaming PC then getting a right CPU is very important. This is because you cannot go too cheap, because it will then become a bottleneck for the graphics card, and if you go too high, then most probably it will not fit in your budget. 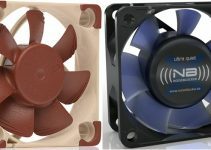 Also, it has to be power efficient, because then you are on budget and you don’t wish to spend too much on an aftermarket CPU Cooler, especially an AIO Liquid CPU Cooler. However, I still do recommend using a good budget aftermarket CPU Cooler, because the stock CPU coolers are not up to the mark. Nowadays, CPU plays a bigger role in gaming, because most of the modern-day AAA games are optimized for multiple cores and require a good enough CPU for optimum performance. In the current day and age, you will need at least a quad core (or higher) CPU along with a mid-range graphics card & 16GB RAM to play latest AAA games on ultra-graphics settings at 1080p with 60 FPS or more. So, if you are finding difficult to select the right budget CPU for your gaming needs, then don’t worry, because here I am going to list the best budget gaming processors that are powerful enough, and are very much affordable. These budget gaming CPUs can also be used for building a budget workstation PC for professionals and content creators. Here are best budget gaming CPUs from Intel and AMD that you can get for your budget gaming PC. These CPUs do not come with onboard or integrated graphics. If you are an Intel fan and want the best budget gaming processor from it, then Intel Core i5-9400F is the solution. It is a 9th generation Core series processor and is quite unique, because it does not come with integrated graphics. This is a hexa-core (6-core), 6 threads processor that comes with 9MB cache. It has got Base clock speed of 2.90 GHz and can Turbo Boost up to 4.10 GHz for increased performance. However, this is a locked processor and does not support overclocking. It requires LGA 1151 motherboard (Intel 300 series) that supports Intel 8th and 9th generation CPUs. This processor supports DDR4-2666 dual channel memory and also includes support for Intel Optane memory. 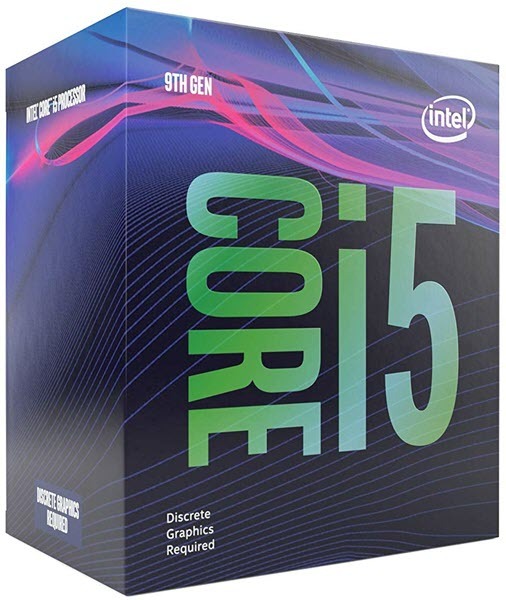 Intel Core i5-9400F is significantly cheaper than Intel Core i5-8500 and Intel Core i5-8400, which are 8th generation core series processors and come with IGPU or Integrated Graphics. In terms of gaming performance, it beats Core i5-8400 and Core i5-8500, and is as good as the Core i5-8600K and the Core i5-9600K. When paired with a good mid-range or a high-end graphics card, you will be quite amazed with the performance of Core i5-9400F, and can run any latest AAA game on ultra graphics settings at 1080p and 1440p comfortably. Also, this CPU will not become a bottleneck for your graphics card, unless you are using an RTX 2080 Ti. The processor is built on 14nm manufacturing process and has got maximum TDP of 65W. It comes with HSF (Heatsink & Fan) with it, but I would highly recommend on using a good aftermarket budget CPU cooler with it for better cooling and for getting maximum turbo boost. This is a great value for money gaming CPU from Intel, especially for gamers who are on budget, but want a good CPU for playing latest AAA games with minimum of 60 FPS. AMD Ryzen 5 2600 is one of the best budget processors that you can get for gaming as well as for productivity or workstation use. It is built on the smaller 12nm FinFET manufacturing process and uses Zen+ architecture. It is also a 6-core (hexa-core), but has got 12 threads that allows it to perform better in multi-threaded applications and tasks. 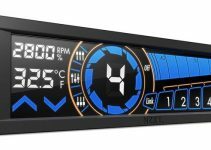 It has got base clock of 3.4 GHz, Boost clock of 3.9 GHz and comes with total of 19MB cache. It also comes with XFR 2.0 (Extended Frequency Range), that allows the processor to automatically overclock beyond Boost clock, if there is enough cooling headroom for it, which mainly depends on how good your CPU Cooler is. Moreover, it is an unlocked processor, which means you can also overclock it much higher frequencies. 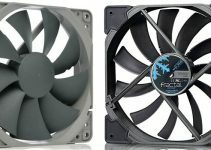 It does come with Wraith Stealth Cooler, but if you want to better overclocking performance from it, then it is better to use a good aftermarket CPU cooler for it. I personally recommend Scythe Mugen 5 Rev.B CPU Cooler for it, which is a great budget CPU Cooler, especially for Ryzen CPUs. This budget CPU is not only good for gaming, but for productivity as well. If you are building a budget gaming PC, then you can pair it with a powerful range graphics card, and can enjoy playing latest AAA games on ultra-graphics settings at 1080p with 60+ FPS. This CPU supports DDR4 2933 MHz memory (dual channel), and requires an AM4 Socket motherboard for its working. When it comes to gaming performance, then at stock speeds it does lose out to the Intel Core i5-9400F, but when overclocked, it comes almost equal to it. Also, the TDP figure of this CPU is 65W, but it consumes a bit more power and generates slightly more heat compared to Core i5-9400F. So, if you are an AMD lover, and want the best budget gaming CPU from it, then look no further. 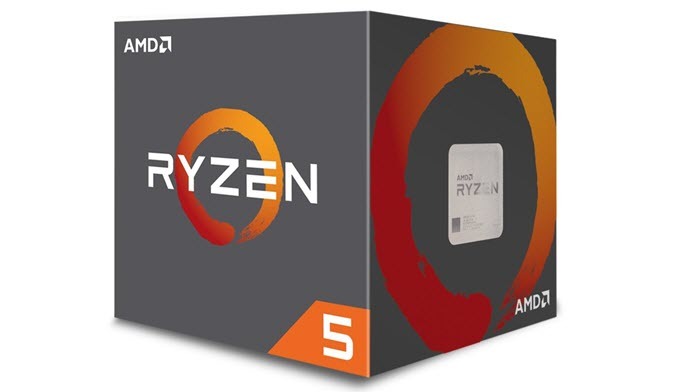 Note: If you can spend a little extra then you can get AMD Ryzen 5 2600X that comes with higher clock speeds of 3.6 GHz for Base, 4.2 GHz for Boost and a better CPU Cooler, which is AMD Wraith Spire. 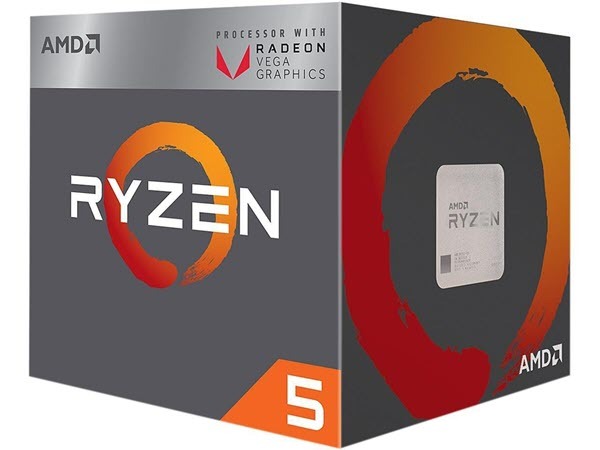 If you are on extremely low budget and cannot afford a discrete graphics card, but want a processor with good onboard GPU or graphics then the best choice would be AMD Ryzen 5 2400G. In AMD terms, this is basically an APU (Accelerated Processing Unit), which stands for a processor that has both CPU and GPU built-in on the same package. This is a quad core (4-core), 8 thread processor with 14nm process and is based on the Zen architecture. It has got base clock of 3.6 GHz and boost clock of 3.9 GHz, and comes with 6MB cache memory. Just like Ryzen 2600, it also requires an AM4 Socket motherboard for its working and has TDP of 65W. It comes with Wraith Stealth Cooler, but you can buy an aftermarket CPU cooler for better cooling performance, especially when you want to overclock it. The processor supports DDR4 2933MHz memory in dual channel. It comes with Radeon Vega 11 GPU that has clock speed of 250 MHz and has got 11 Graphics Cores and 704 Stream Processors. The performance of this GPU is comparable to that of GeForce GT 1030, which is an entry level graphics card from Nvidia. This integrated Radeon Vega 11 GPU shares memory with system RAM, so get the best performance, you should have a fast enough DDR4 RAM. The GPU is capable of running latest games on low to medium graphics settings at 1080p with playable frame rates (30 to 40 FPS avg). For example, you can play GTA 5 on it on high graphics settings at 1080p with 40 FPS on average. Much older games will run more than fine on it and you can enjoy 60 FPS gaming on it at high settings @1080p. It also supports Radeon FreeSync Technology, which is a variable refresh rate technology to remove screen tearing in games. AMD Ryzen 5 2400G is cheaper and less powerful than the above-mentioned Core i5-9400F and Ryzen 5 2600. However, it does save a lot of money for you, and provides decent amount of performance, when you can’t afford a graphics card at the moment. Gamers with limited budget do not have to get disappointed at all, because now there are some very good budget CPU options available from both Intel and AMD. These above mentioned budget gaming processors are fast and are very capable. They offer great performance for the price and support latest technologies. If you have any queries regarding them or about hardware in general, then you can ask me by leaving a comment below.